Noor has joined Rosa Luxemburg Stiftung Regional Office Palestine and Jordan team in April 2018 to participate in developing, implementing and monitoring of RLS financial operations, bringing with her more than 4 years of financial experience in local NGOs and private sector. 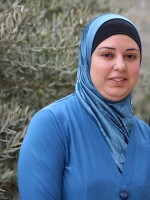 She got her bachelor degree in Accounting from Birzeit University in 2o14, and 2017 she got her masters degree in Business Administration from Birzeit University. Obtained a master’s degree in Critical Media and Cultural Studies from SOAS, University of London in 2017, and joined Rosa Lux in 2018 as the Program and Political Communications Manager. 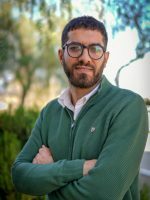 Previously, he was the Alumni Coordinator at Birzeit University (2011-2016) where he accumulated a network of graduates across multiple Palestinian generations. His fields of interest include contemporary communication and technology in relation to event management and networking. He is an active volunteer for several human rights initiatives and grassroots civil society movements. After finishing her university education with degrees in economics and socio-economics she moved on 1998 to the Palestinian Territories where she worked with different Palestinian and German organizations in the fields of human rights and civic education. Moving back to Germany, she was from 2008 to 2013 head of the Regional Unit for the Near and Middle East, North Africa and Turkey of Rosa-Luxemburg-Stiftung in Berlin. 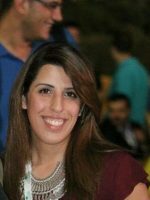 She has been with RLS as the head of the office in Ramallah since March 2017. 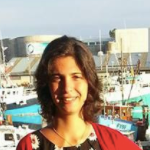 M.A in International Studies – has been with the RLS since May 2008. 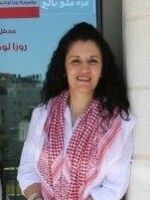 She has worked with different Palestinian NGOs as well as with the Palestinian Ministry of Women’s Affairs. 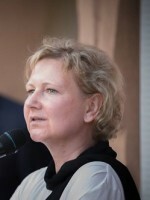 She brings with her university teaching experience and she was and is still voluntarily active with the civil society, most particularly in the women’s movement. M.A in Development Studies – joined RLS on August 2013. He has worked with different Palestinian NGOs since 1993. 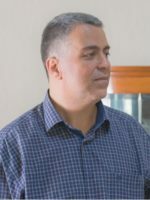 He is vice president of the Palestinian Union for Social Workers and Psychologists, and is an active volunteer with different civil society organizations and unions. B.A. in Business Administration/ Birzeit University – started to work with RLS in September 2008. She brings with her experience in procurements, project management and administrative responsibility with the private and NGO sectors. B.A in Finance and Banking – has been with RLS since July 2013. She brings with her financial management experience from the NGO sector.